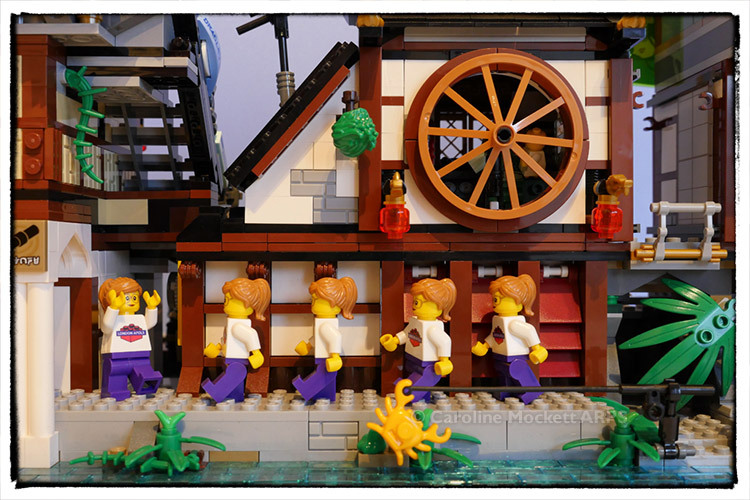 Sigfig Caz was wandering about in Ninjago City Docks this afternoon when she rounded a corner and got the shock of her life! Coming marching towards her was a small Clone Army who looked just like her. On closer interrogation, it turned out they were just on their way to the Post Office to post themselves off to some of Caz’s YouTube friends in the UK, United States and Norway.